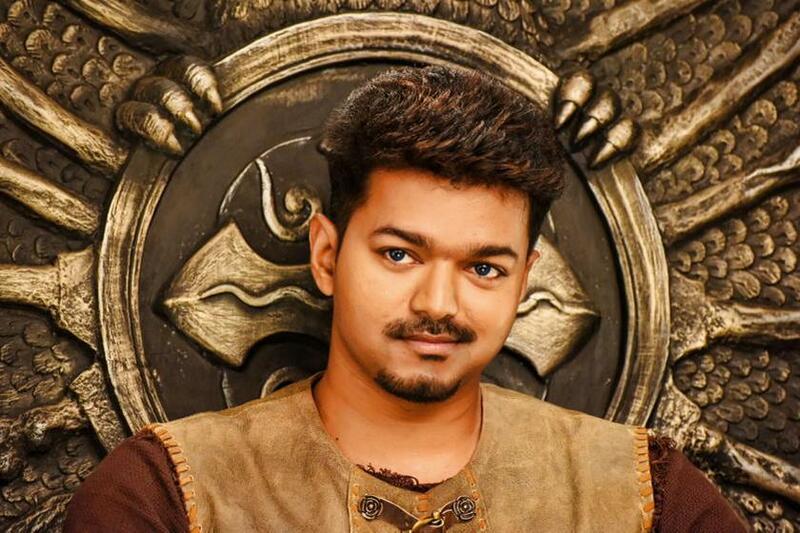 Vijay's Puli sets All India Record! Home » Aamir Khan | Bollywood | Chimbu Devan | Hansika Motwani | Puli | Shruthi Haasan | Vijay » Vijay's Puli sets All India Record! Illayathalapathy Vijay’s ‘Puli’ first look posters were released on the 20th and the teaser became available from yesterday to thundering response from fans and the general audiences. Even as Ilayathalapathy Vijay is being trolled in social media networks like Twitter, the teaser and first look posters of Puli are quietly generating some dazzling numbers, breaking and setting records. Sweet news on Vijay’s birthday is that ‘Puli’’s first look teaser is nearing 2 millions views and the first look posters have also created the record as the most downloaded film posters in Indian cinema beating Amir Khan's PK. It is said that Puli is now officially the leading movie in India to have most number of downloads when it comes to its posters, beating the record held by Aamir Khan's PK. Both the teaser and first look posters were released ahead of Vijay's birthday and the response so far from fans as well as movie buffs have been overwhelming. With just the teaser and posters creating so much of excitement among Vijay fans, it is expected that Puli will have a thunderous opening when it hits the screens. Though the official announcement is awaited, trade sources have indicated that Puli might roar its way into cinema halls this September 17th on the auspicious day of Vinayaka Chaturthi.